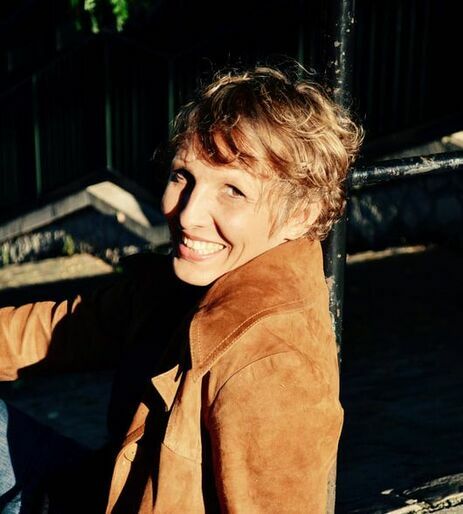 Joanne Calmel is a professional chamber musician, originally from the Parisian Suburb Gennevilliers. She studied singing in Paris with Elsa Maurus, then Dorothea Wirtz at the Musikhochschule Freiburg, Germany. In April 2012, she completed her Master studies of Opera singing. She furthered her technical and musical training with Master-classes lead by Margreet Honig. Joanne Calmel started her musical journey at the age of 10, when she took her first flute lesson at the Gennevilliers Conservatoire. In June 2000 she won two first Prizes in Flute and Chamber Music at the Conservatoire. She gave numerous concerts with the tango quartet Linéa 13 (Paris, Buenos Aires..). She is a founding member of the wind quintet "Quintette Avanti”, with whom she regularly collaborates on projects alongside the Ensemble 2E2M and the National Jazz Orchestra, directed by Claude Barthélémy. Joanne Calmel as a flutist often takes part in theatrical and choreographic performances too. Joanne Calmel frequently gives chamber music concerts with numerous ensembles, such as ensemble Anpral, Los Poseidos (Septeto Mixto, an hommage to M.Kagel) and the ensemble Hexamys. She has also developed her own projects, including a collaboration with the bandoneonist Jean-Baptiste Henry as the Duo Nektar Subtil (Cd SWR Live! 2015) and in February 2016 created a new version of her Opera-show for children: "Une Histoire de Diva"
In 2017 she launches her new project Canailles de Panam’..